OMG! OMG! MySpace Gets Its Swagger Back! With the rebirth of MySpace, introduced by a slick video featuring Justin Timberlake, new owner Specific Media (and Timberlake) is looking to get the social network's swagger back. The new look centers on a image-heavy, horizontal layout similar to Pinterest. 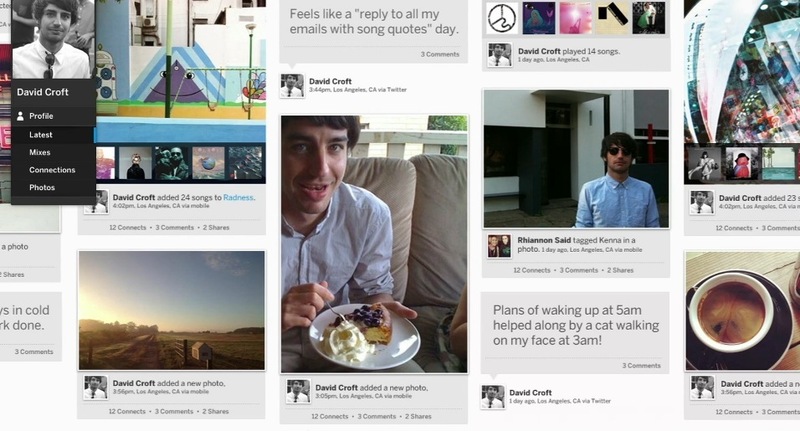 Taking pragmatic view, the new MySpace incorporate "rivals" Twitter and Facebook but will remain focused on music. Specific Media purchased MySpace for $35 millon from Rupert Murdoch after he, several years earlier, had paid $580 million. In the video, we are told MySpace will be "staying true to our roots in one important way - empowering people to express themselves however they want." But let's be honest. That's a catch all phrase that will allow the entity to do pretty much whatever it wants. Whether or not MySpace can truly make a comeback is anyone's guess. but one thing's for sure. Get ready for an onslaught of "How to Build Your Brand on MySpace" books and a whole new generation of "MySpace Gurus" and several notable social media digerati hanging "I have Moved" signs on Facebook as they jump on the new MySpace bandwagon. Oh yes. The waterfall of lemming-like NewSpace insanity is going to be delicious. Grab your Google Goggles, nuke some popcorn, pull up a chair and get ready to enjoy the show.